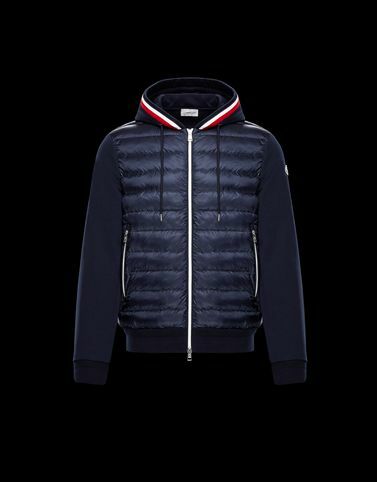 Moncler achieves yet another masterpiece in textile innovation combining precious materials and garments in French terry. A dual look created by pairing technical finishes and details with the iconic tricolor design. The result is this cardigan with clean and meticulous lines, to be used also as outerwear.